I read this article and found it very interesting, thought it might be something for you. 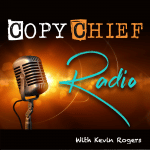 The article is called Ep 118: Copy Legend David Deutsch on Why We Buy and is located at https://copychief.com/ep-118-david-deutsch/. My friend David Deutsch knows things very few people know. And unlike most revered copy gurus, he tends to keep them to himself. There are a few reasons for this. Some of them logistical (like being super busy consulting the biggest marketing companies on the planet), others are personal (he’s not quite sure he wants everyone knowing what he knows). But, I can tell you, when you get face-to-face with him, he holds nothing back. I had this conversation last month with David while we were in Phoenix at our friend John Carlton’s mastermind meeting. Fortunately for you and me, the mics were live, and David has agreed to let me release the recording. Great episode. I like what David had to say about giving proof and being trustworthy. of guests and the insightful conversations. I’ve tried to find that podcast in the archives but without success. able to listen to it again. Thanks Kevin…and have a great Sunday. Hey George, Tim here. I’m part of Kevin’s team. I don’t recall an Irish guest that talked about a hook or story. The only person I can think of is Ross O’Lochlainn, but he talked about USP. Try doing a search on hook on our site and see if you find anything.